I am really very excited to share the recipe of crunchy and fluffy homemade soup sticks. 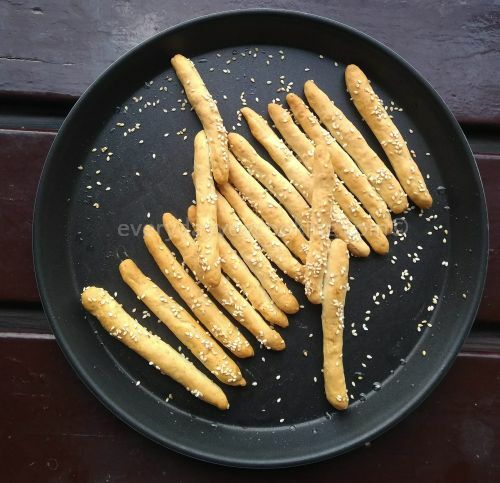 I have given a healthy twist to the soup sticks by adding oats and I have flavored them with carom (ajwain) seeds and sesame (til) seeds which add a mild aroma and enhance the taste of the soup sticks. Freshly baked soup sticks are a perfect accompaniment with tomato soup or just brush some butter on it and relish it with a cup of tea. 1 tbsp milk to brush on soup sticks . 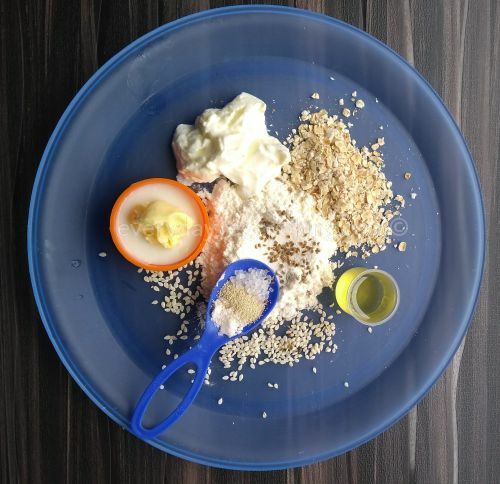 Combine all-purpose flour (maida) and oats in a bowl. 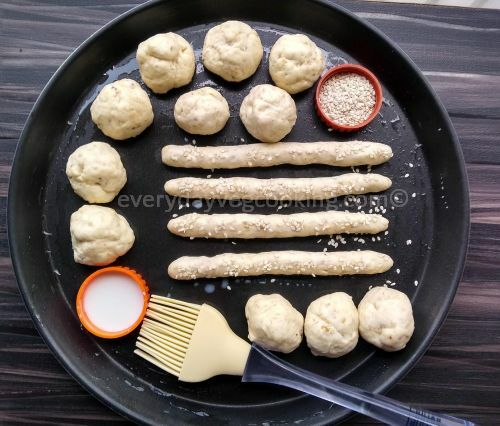 Mix well in the center and add active dry yeast, salt, sugar, 1 tsp sesame seeds, carom seeds, and curd, mix thoroughly and combine all the ingredients. Take milk and butter in a pan and heat it till butter melts. Take water in a pan and heat it till it is warm. Knead the flour with the milk and butter mix. Add water as required and knead the dough till it is soft and sticky. 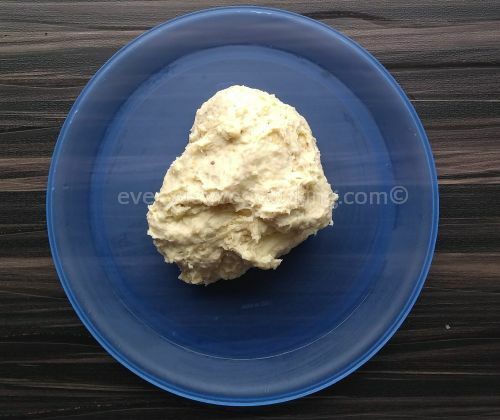 Apply some oil on the palms and continue kneading and punching the dough for 5 to 6 minutes. Add 1 tbsp oil, little by little, as you knead and punch the dough. Soon the dough will become soft and smooth. Apply some oil on the dough and keep it in the covered bowl for 2 to 3 hours in a warm place. Once the dough rises, take it out and gently punch it with your greased palms for 5 minutes. Now divide the dough into 30 to 35 equal portions. Roll each portion into the cylindrical shape, keep length 5 to 6 “, if necessary lightly flour the work surface while making rolls. Make sure that the thickness and length of the rolls are equal in size so that they bake evenly. Place rolls in a greased baking tray maintaining the distance between them. Brush each roll with milk and sprinkle sesame seeds over it. Cover the tray with a clean kitchen towel and keep in a warm place for 10 minutes. Preheat the convection microwave oven at 180-degree centigrade with the lower rack in it. Take out soup sticks and cool it on a wire rack. After soup sticks cool down completely store them in an airtight container. 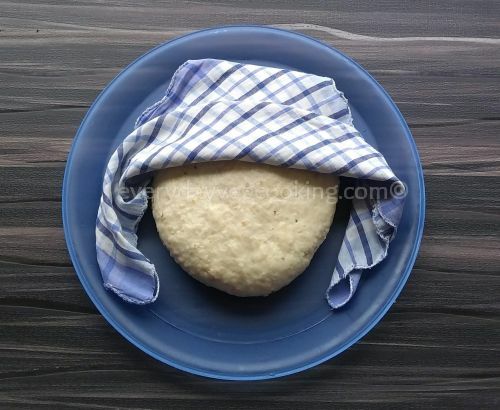 If making in winter, cover the dough and keep in a warm place along with a hot water bowl next to it. That looks so good that I can almost taste it! Breadsticks used to be one of the items we always packed for snacks when we used to go out while in UK. Low calorie filling and satisfying snack. Do send some over pleaaaaase! I will send bread sticks for you .